There was always something about the universe that mesmerized me. I still have recollections of staring at the night sky full of stars for hours thinking to myself how somewhere in this universe, something incredibly amazing is happening and yet we might not know about it. It wasn't until high school that I started getting involved in my school's astronomy program and attending "star parties," where we would spend the night looking at different celestial objects with a variety of telescopes -- Schmidt-Cassegrains were my favorite. A couple of years later, I found myself studying aerospace engineering at The University of Texas at Austin and learning about spacecraft design and space systems engineering. My adviser, Dr. Hans Mark, helped me apply for a summer internship at JPL during my sophomore year. At this point, I knew little to nothing about what I really wanted to do as an aerospace engineer. I just knew I wanted to work for NASA and help scientists answer some fundamental questions about our universe, such as, "Are we alone?" or, "Is there water on Mars?" During my first summer internship at JPL, I was part of a team of students who were tasked with designing a secondary payload for the proposed MoonRise mission. MoonRise would have been the first robotic sample-return mission from the moon. We designed a camera system that would have flown on the communications satellite and detected impact flashes from impacting meteorites. MoonRise was not selected to fly, but this extraordinary experience completely changed my career path. 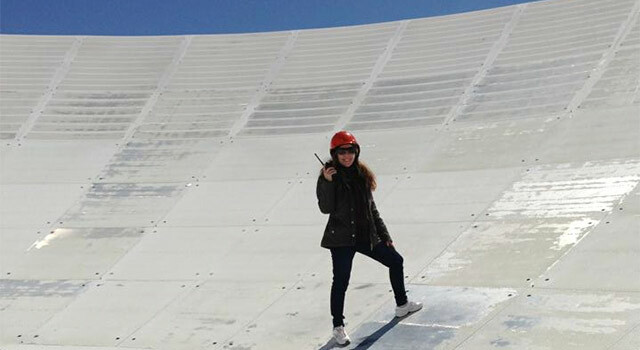 After my first summer internship at JPL, I knew exactly what I wanted to do as an aerospace engineer. I wanted to help formulate and design innovative concepts. The next summer, I was fortunate to come back to JPL and work on the Mars Science Laboratory as a flight software team member. We were creating a platform to test the wake cycle robustness of the Curiosity rover. This once-in-a-lifetime opportunity changed me forever. Not many people can say they worked on a rover that is currently on another planet. JPL made that possible for me. At this point, I had my mind and heart set on getting a job at JPL upon graduation, so I came back to JPL as an intern for the third time during my senior year. This time, I was tasked with working at JPL's state-of-the-art concurrent engineering facility called Team X. I had come full circle to what I was most passionate about, formulation and systems engineering. Meanwhile, in my free time back at UT-Austin, I was designing my own mission with CubeSats -- small satellites that can fit inside a 10-centimeter cube. With the help of my other aerospace engineer friends I proposed a CubeSat constellation to detect Earth-like planets by measuring the interaction between the stellar solar wind and the magnetosphere of the exoplanets. I graduated from UT-Austin in December of 2012 with the highest of honors and received the "2012 Cockrell School of Engineering Scholar-Leader Award" from the dean of the engineering school. None of this would have been possible without the invaluable experience I gained as an intern at JPL. 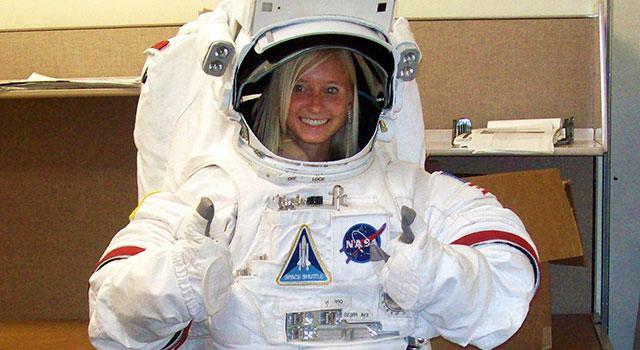 The internships at JPL were real hands-on opportunities on real projects. JPL empowered me as an intern and gave me real responsibilities and tasks that everyone on the team truly cared about. My three summer internships at JPL before graduation gave me the tools and fundamentals I needed to excel in any work environment immediately after graduation. So now I work at JPL on formulation projects as a systems engineer. I have already sponsored interns at JPL as a mentor, and I love the fact that there is no limitation to how fast you can grow here. I am currently the project systems engineer and flight systems engineer on an interplanetary CubeSat mission and work on a variety of different innovative concepts on the side. In my free time, I go to local schools to talk to students and motivate them to pursue science, technology, engineering and math (STEM) degrees. JPL was the tipping point in my career. Not only did I gain invaluable technical expertise from my internships, but I also gained the confidence and communication skills vital for any engineer, and especially for a systems engineer. 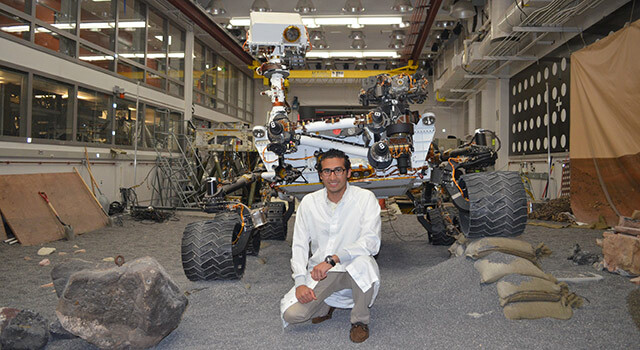 NASA Student Ambassador Payam Banazadeh is a systems engineer at the NASA Jet Propulsion Laboratory. Payam interned at JPL for three summers before coming on board full-time as a systems engineer in January 2013.